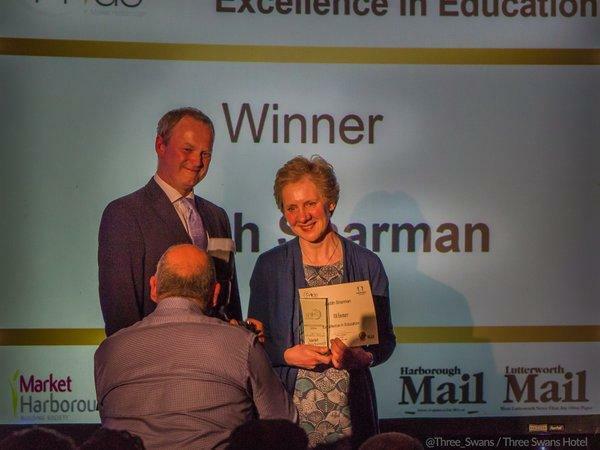 Congratulations to Mrs Sharman who won The Excellence in Education Award at The Pride In Harborough Award ceremony last night. Mrs Attenborough collected comments from ex-pupils, staff and parents. Every single comment made it to nomination. The judging panel made their decision based solely on the nomination as their was no public voting this year. Mrs Sharman has seen all the comments and is very moved by them. It is lovely to see her get the recognition she deserves. Well done Mrs Sharman!